The following facts are based on analysis of data from the U.S. Department of Transportation’s Fatality Analysis Reporting System (FARS). A total of 3,986 people died in large truck crashes in 2016. Seventeen percent of these deaths were truck occupants, 66 percent were occupants of cars and other passenger vehicles, and 16 percent were pedestrians, bicyclists or motorcyclists. 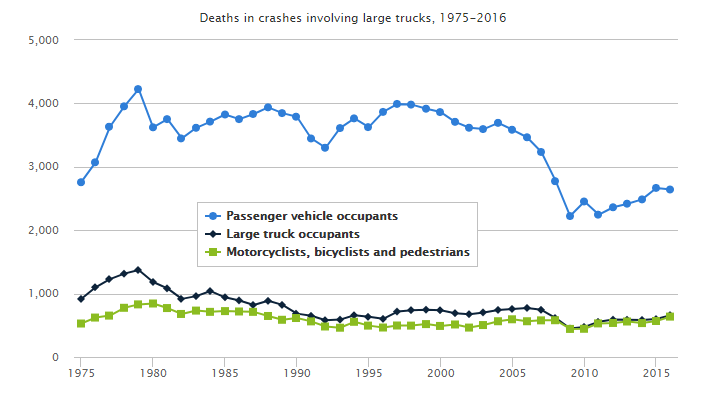 The number of people who died in large truck crashes was 27 percent higher in 2016 than in 2009, when it was the lowest it has been since the collection of fatal crash data began in 1975. The number of truck occupants who died was 47 percent higher than in 2009. 1McCartt, A.T.; Hellinga L.A.; and Solomon, M.G. 2008. Work schedules of long-distance truck drivers before and after 2004 hours-of-service rule change. Traffic Injury Prevention 9:201-10. 2Federal Highway Administration. 2015. Highway statistics, 2014. Washington, DC: U.S. Department of Transportation. Airflow Deflector - Builder of Side Guards. 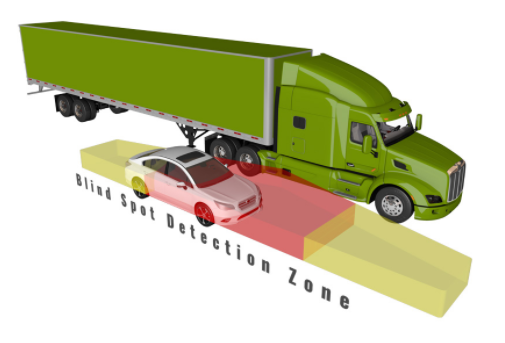 A full suite "Truck Side Guards" and side underride protection devices, all engineered to decrease the potential for injury and death to all vulnerable road users (pedestrian, cyclists, motorcyclist and vehicle occupants. IIHS tested to 40 mph, meets Volpe" standards and certified by AirFlow Deflector.